Do you want to be fully prepared when ISIS targets your doctor or your local hospital? Do you want to avoid waiting in line days, weeks, or months for basic medical care when the next terrorist attack or major storm hits your area? Do you want to discover dozens of easy and affordable remedies to nearly any medical situation using only what you have in your garden and kitchen pantry? [content_box_light_blue width=”75%”]”The Bible of Survival! This is an incredibly well-informed book which exceeds its intentions; the information is helpful for all situations, not just a post apocalyptic scenario. It is written in such a way that is understandable to everyone, not just those in the medical profession. What 99% of vitamin and supplement users are doing wrong that is causing them not to absorb almost everything they take. Page ??? An antioxidant that is 6,000x more powerful than Vitamin C. Page ??? The cooking waste you’re probably throwing away that is the secret to joint and bone health. Page ??? The common yard weed you can use to bandage wounds and keep them infection free. Page ??? This is more than a survival guide. With dozens of easy and useful health tips, you’ll reference this encyclopedia-like book nearly every day. From growing your own food and medicine to finding the medical uses for the things already in your pantry, this practical and easy-to-use guide can heal you. You’ll discover incredible life-restoring uses for things like honey, baking soda, vinegar, olive oil, epsom salts and even the dirt in your backyard. Never before has so much natural and survival medicine been compiled in one place. If you’ve ever wished that your body came with a natural ‘owner’s manual’ – you’re wait is over. He teaches the reader how to make soap, wound-care products, insecticide, sun block, toothpaste and so much more. It includes how to set up an emergency medical chest, with descriptions of everything you need to treat any medical problem that could arise. Dr. Ralph LaGuardia has been in private practice in Connecticut for over 25 years and has a 4.5 star rating on HealthGrades.com. He specializes in Internal Medicine , Bariatrics and Geriatrics. In addition to that he practices Integrative Medicine. Integrative Medicine is the combination of the cutting edge practices of western medicine and traditional, natural medical remedies. He has a special interest in nutrition and sustainable gardening and permaculture. He has developed a unique method of treating his patients combining all these elements that has proven to be quite effective. Dr. LaGuardia’s other passion is survival medicine and what is now known as “Prepping”. He wrote “The Doomsday Book of Medicine” to fill a void in the survival books that have flooded the market. Well, how exactly do you do any of those things when there is no functioning electricity, telephones and infrastructure left? How do you stockpile your meds when insurance companies count every pill they give you? And even if you could, what do you do when your supply is exhausted? Out of his frustration came this 910-page book which supplies the reader with the skills to treat everything from a simple fever to snakebites and broken bones to deadly diseases. 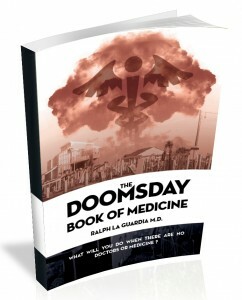 [content_box_light_blue width=”75%”] “The Doomsday Book of Medicine has something for everyone! It is a go-to-now book for those emergent times when you are not near a hospital or do not have medical personnel handy. Dr. Ralph clearly teaches step by step what to do when bit by animals, insects, snakes…etc. There are even informative teaching chapters on probiotics, amino acids, fish oils, vitamins, healthy fats from oils/seeds, and essential oils; preparing your body for a healthier you! [content_box_light_blue width=”75%”]”Doomsday Book of Medicine is an awesome reference! The section on how to build your own medical chest is especially helpful so you will be able to treat problems when there are no doctors or medicine available. There is a large section on nutrition and how to grow healthy plants from the soil up I really enjoyed. 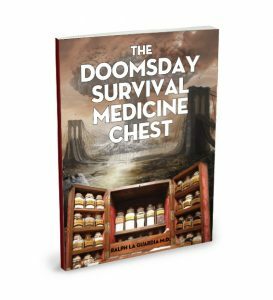 The Doomsday Book of Medicine is a ‘book of life’ and might just be the last ‘survival book’ you’ll ever need. From growing life-giving food and medicine to treating life-threatening diseases, this is an investment in you and your family’s survival for generations to come. You’ll discover the incredible bounty that God has given us in medicinal plants, herbs, and fungi. And it’s all in one, easy-to-use guidebook. It would take you YEARS to gather and test all the proven remedies in this book. The internet is full of so much conflicting information, it’s hard to know what to believe. You will finally have a resource that has been vetted by medical professionals and actual clinical applications. And you would need to gather dozens of books and medical journals – costing thousands of dollars– to get what we’ve gathered in one easy-to-use text. The Doomsday Book of Medicine is a medical guide, a gardening guide, a herbal cure guide, a home-made toiletry guide, and a natural healing guide all in one. Not to mention that medical costs with SOAR when hospitals and doctors are in short supply. Grow non-GMO, mouth wateringly delicious fruits, herbs, and vegetables with this secret growing device pioneered in Biblical Times. Extend your growing season by up to 50% in nearly any climate and shake off the shackles of Monsanto with this easy-to-follow guide. Discover the easy way to store delicious and nutritious food for up to 30 years with this guide. Written with the help of a 90-year-old Great-Grandmother that has been canning and storing food long-term for 60 years. 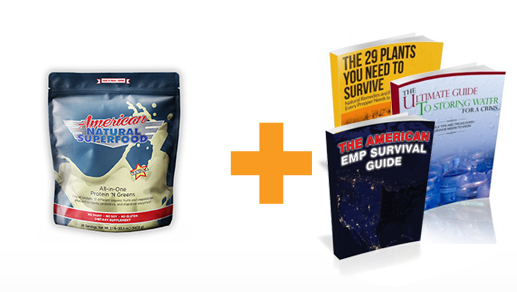 This is imperative is you think that your survival food will keep you healthy for long term survival (hint: it won’t)! All the food and medicine in the world is worthless if you don’t have clean, drinkable water. This easy to follow guide will show you how to find, treat, and store water for the long-term. 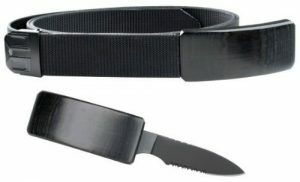 Survival, preparedness, and self-reliance is our business. We eat, sleep, and breath this stuff. So we’ll keep you up-to-the-minute on the latests happenings that you need to be prepared for. And we’ll help you get prepared with the latest gear reviews, tactics, and strategies to keep you and your family safe. Plus we’ll show you how to live a more self-sufficient life with the freedom you’ve always dreamed of. It’s free for life, no ongoing charges. Most products you buy these days give you 30 or 60 days to decide if you like it. That’s not nearly long enough to decide if the material is really worthy of you hard-earned dollars – especially for survival information that you might not use for weeks or months. So we’re guaranteeing your purchase for a full year. If it doesn’t, or you’re not satisfied with your purchase in any way, just email our Customer Service Queen Barbara at Barbara@SelfRely.com and she’ll take care of a full refund for you. That’s our 100% Satisfaction Guarantee, and you won’t find it on any of those other ‘survival medical’ guides. Left Clamoring for Medical Care? Are you going to depend on FEMA handouts when the SHTF? Or are you going to take matters into your own hands? NOTE: Do us one favor, when you get your book turn to page 33 to discover how you can make your body resistant to almost any infection. This one secret could save your life, even if the big catastrophe you’re preparing for never happens. But WOW this is the quintessential guide to preparing for doomsday, or living off the grid, or just learning about a myriad of things helpful in healthcare and 1st aide. I encourage you to buy it, read it cover to cover and give it to friends and loved ones as gifts. WOW.